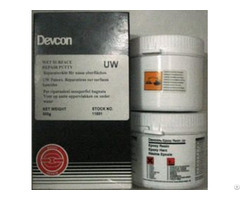 Description: Devcon Flexane 80 is a Trowelable urethane for repairing and lining process equipment exposed to wear, impact, abrasion, vibration, and expansion / contraction. 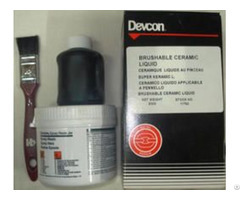 For METAL SURFACES, thoroughly clean area to be repaired, rebuilt, or lined with Devcon Cleaner Blend 300. Remove any oil, grease, or dirt. Roughen surface by grinding with a coarse wheel or an abrasive disc pad. To prime this surface, apply a coat of Devcon FL-10 Primer and allow to dry tack-free for 15 minutes. If the metal surface requires maximum tear resistance or is exposed to moisture, or if submerged in water, use Devcon® FL-10 and Devcon FL-20 Primer. For RUBBER SURFACES, thoroughly clean area with an abrasive pad and Devcon Cleaner Blend 300. Surface can also be roughened with a grinding wheel so that it is coarse and free from oil and dirt that may clog the "pores" of the rubber. Wipe or roughen surface with Cleaner Blend 300 until the cloth no longer picks up the color of the rubber. The rubber should appear new or deeper in color. To prime this surface, apply a coat of Devcon® FL-20 Primer and allow to dry tackfree for 15-20 minutes. 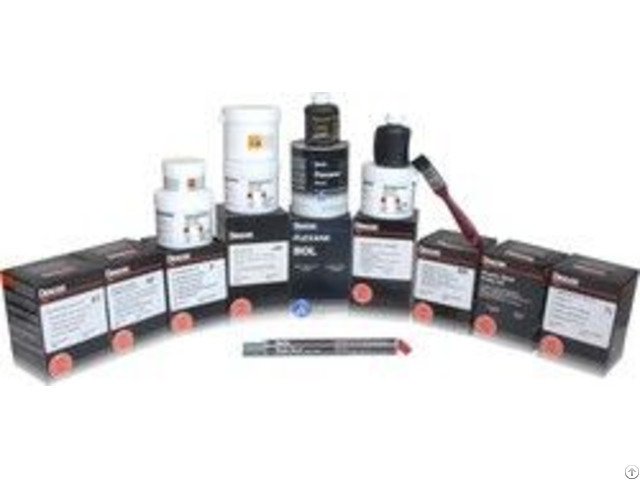 Use Devcon®FL-40 Primer on "hard-to-bond" rubber surfaces as this gives ultimate peelresistance. Multiple coats may be necessary for porous rubber surfaces.For MAXIMUM ADHESION, sandblast the surface with an angular abrasive until a minimum depth profile of 2-3 mils is met. Blast to near-white finish specification SSPC-SP5 (Steel Structure Painting Council). Prime surface immediately after sandblasting to prevent oxidation.